So it was a cryin' shame that Jon and I hadn't been back to Radio Milano in over a year! 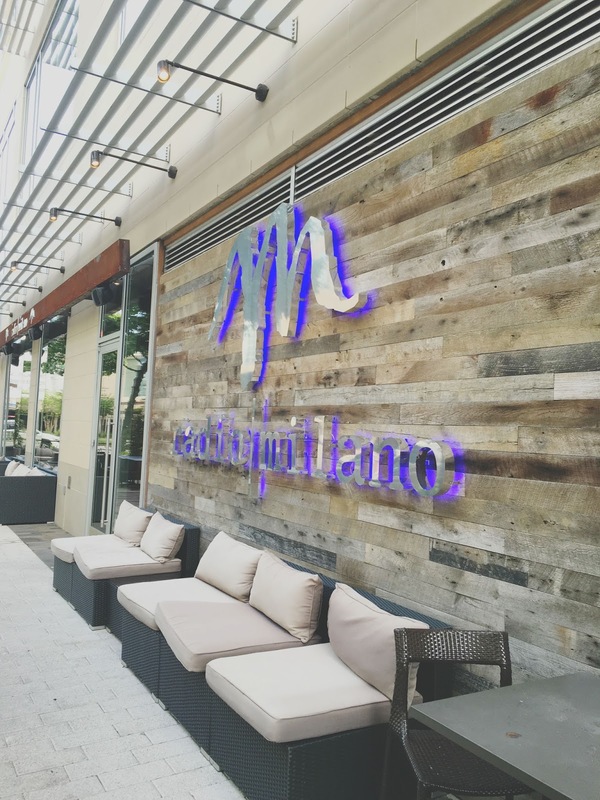 As this is definitely a fine dining restaurant on the pricier side, we decided to take advantage of their Houston Restaurant Weeks menu and enjoy dinner there last weekend with our friends Dillon and Melinda. Radio Milano is great - not only because the food is out of this world - but because if you want, you can make a whole experience out of it, which is exactly what we did. 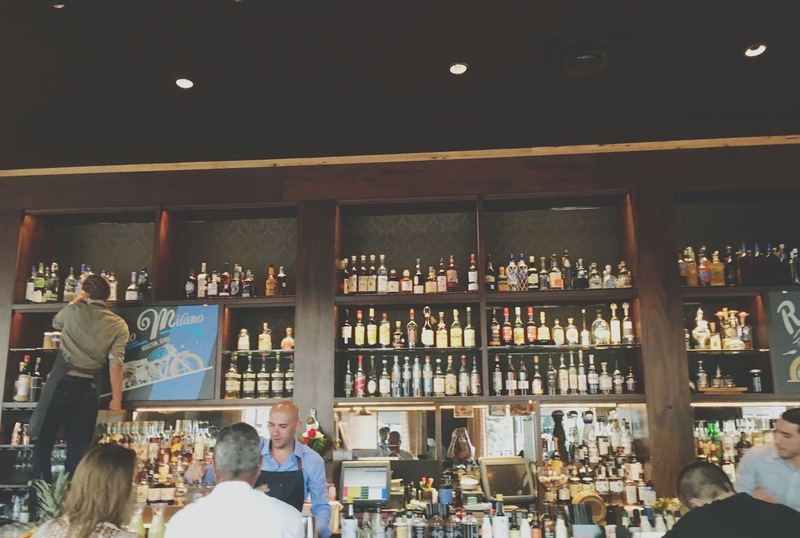 It's located in Hotel Sorella in Houston's City Centre area, so there are so many additional things to do nearby. The restaurant has a beautiful bar with excellently crafted cocktails downstairs, so we enjoyed a pre-dinner drink. Jon ordered a bourbon, and I went for the greatfruit rose cocktail, with vodka instead of gin. The (beautiful!) drink consisted of lillet, grapefruit, elderflower, and vodka. It was subtly sweet, subtly bitter, perfectly boozy, and super refreshing! After we'd all enjoyed our cocktails, we headed up to the restaurant's main dining room for some food. We ordered a bottle of wine and were presented with some bread to snack on. 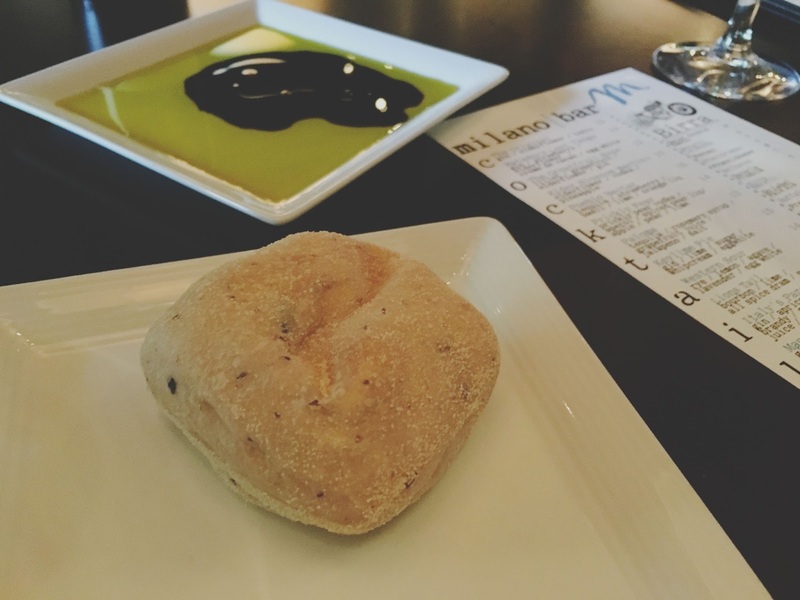 The bread was herby and fresh, and it was served with a side of olive oil and balsamic vinegar. The vinegar was syrupy and sweet, and paired very nicely with the savory bread! All of us decided to order from the Hosuton Restaurant Weeks menu (in contrast to last year when the four of us visited Caracol for Houston Restaurant Weeks, and we all went rogue and ordered off the main menu). 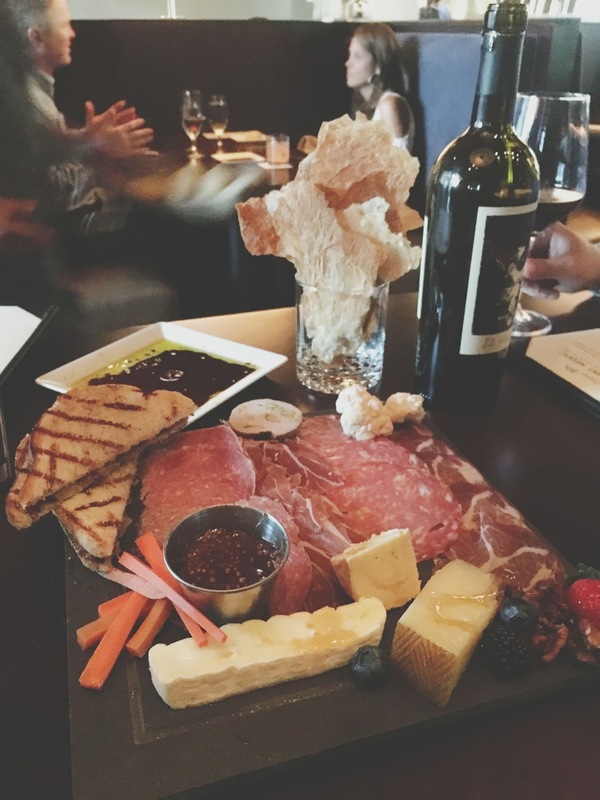 But before we even delved into our individual meals, we ordered their antipasto (meat and cheese) plate to share. The cheeses consisted of a soft cheese similar to a brie, Manchego, and something else I don't remember (blue maybe?). All had incredibly prominent, delicious and different flavors and textures. Served with lightly toasted bread, honey, jam, and pickled vegetables, I was a big fan! For our first course of food, Melinda let me try her caprese salad, and I ordered the corn soup without bacon. 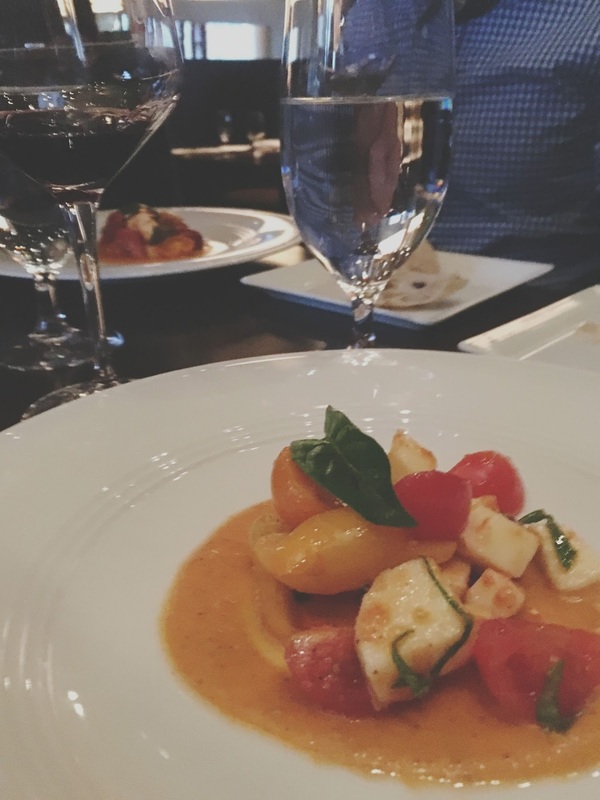 The caprese salad was SUPER fresh and sat in a lovely, creamy Thai basil sauce. 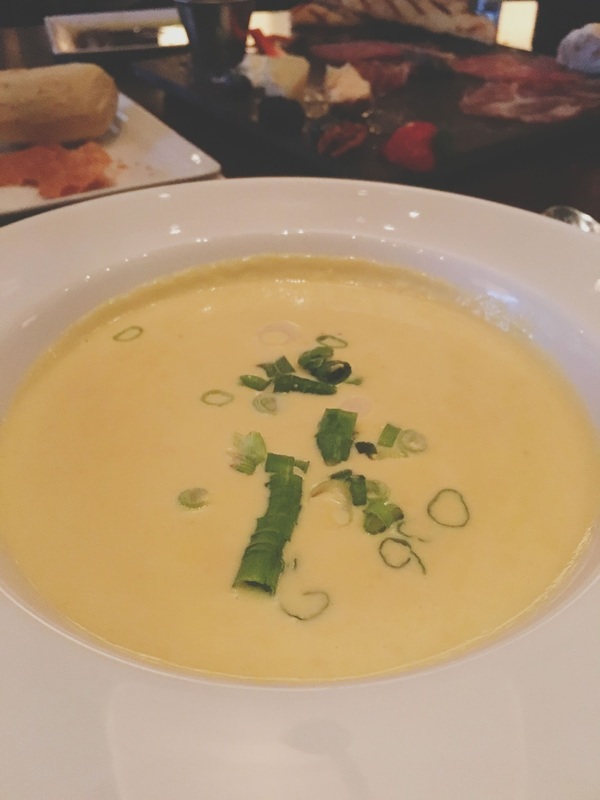 My corn soup was awesome. Smooth, rich, and sweet - it was summer in a warm bowl! For our next course of food, everyone ordered something different. 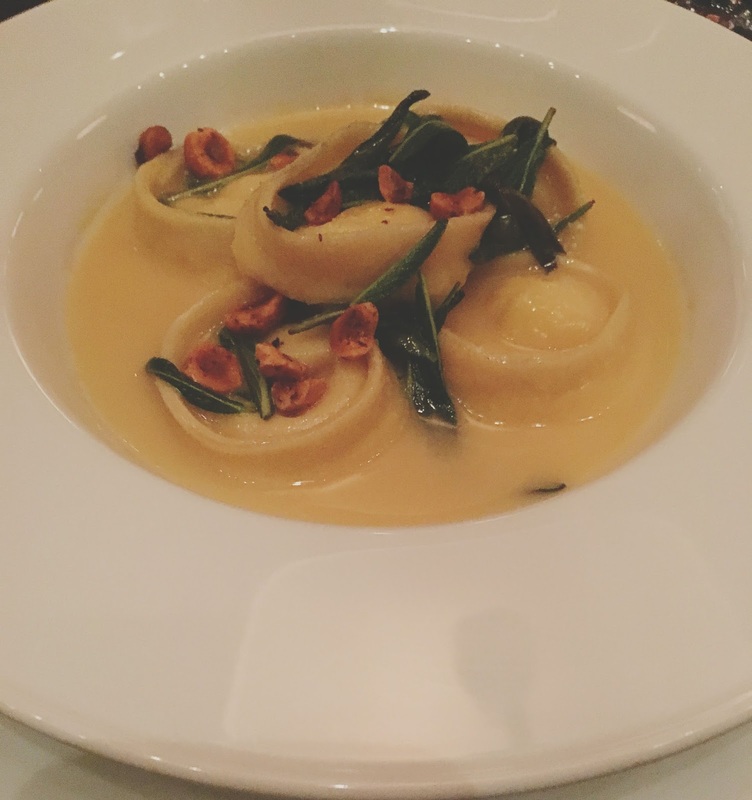 I went with the vegetarian choice, the goat cheese tortellinis. I've said it before, and I'll say it again - I never met a cheese I didn't like. BUT there are some that I'm less enthused about than others, one being goat cheese. I think goat cheese must be carefully done in dishes because it has the tendency to dry everything else out. So while the goat cheese didn't necessarily have that effect on this pasta, I think something softer in flavor like ricotta might have brought it together a little better. HOWEVER the rich, decadent brown butter sauce combined with fragrant sage and crunchy hazelnuts certainly was outstanding! For our final (dessert) round of food, we made sure at least one of each desserts was ordered. 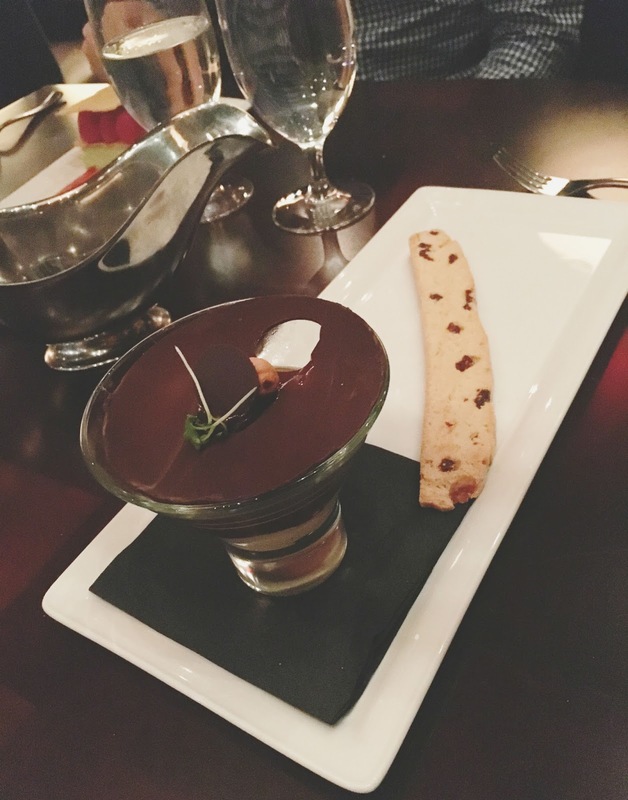 Thus, we were all able to try the chocolate souffle, affogato, and pistachio napoleon. 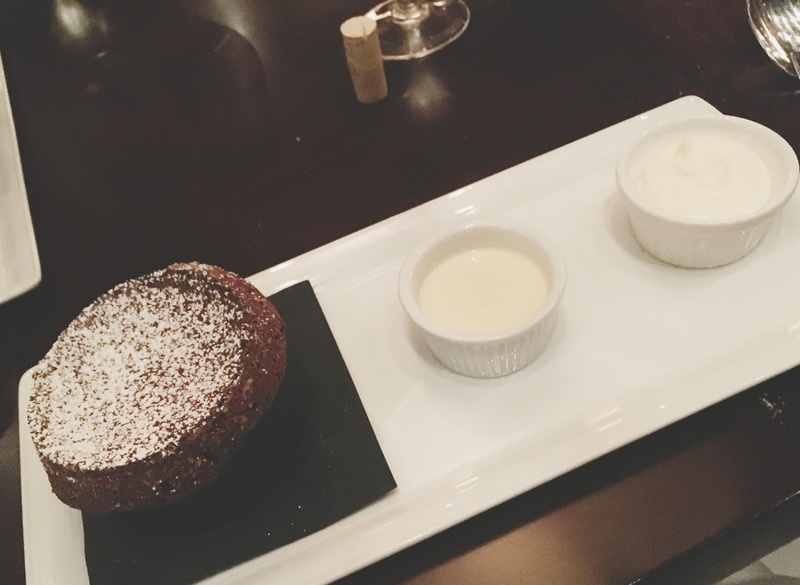 The chocolate souffle was covered in an amaretto sauce and served with a side of marscapone cream. It was a full, rich, dense brownie of a chocolate cake, and the marscapone cream added a lovely softness to it. The affogato was a scoop of hazelnut ice cream topped with vanilla infused espresso. This was basically coffee in dessert form,-It was completely different from the souffle, and also great! I think all four of us agreed though, that the colorful pistachio napoleon was our favorite. 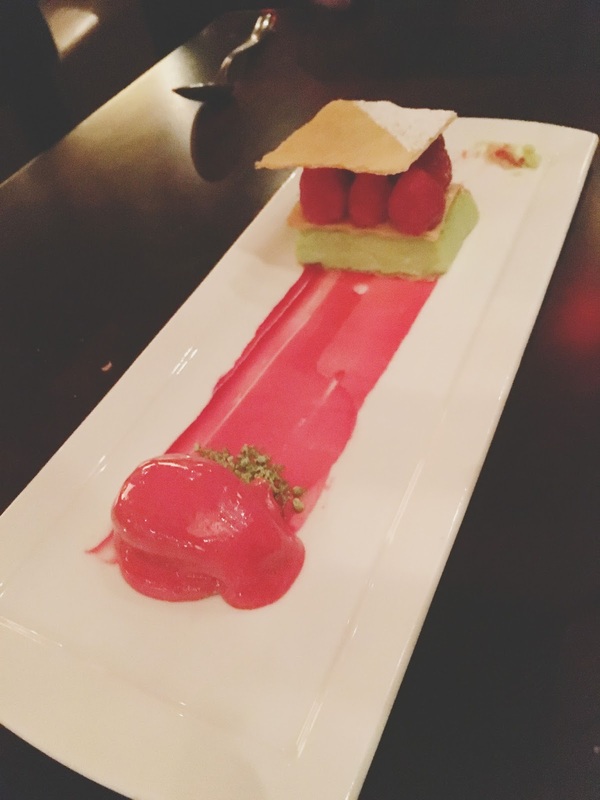 The dessert consisted of raspberries, pistachio cream, raspberry sorbet, and a light wafer of some sort. The flavors were so contrasting (bright and tart raspberry sorbet, versus earthy, soft pistachio cream) that the end result was fantastic! Both times I've been to Radio Milano have been wonderful. 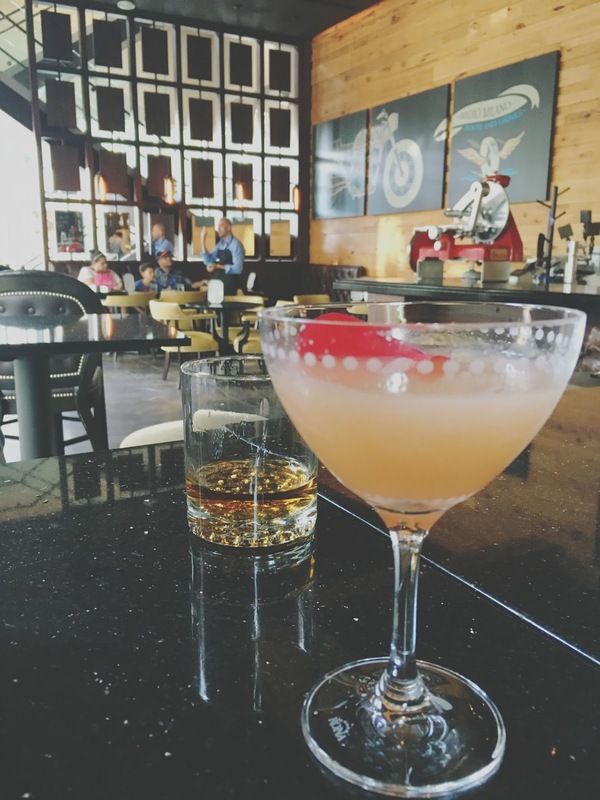 This fine dining Houston restaurant has incredible food and an incredible atmosphere, so it's definitely one to add to your list. 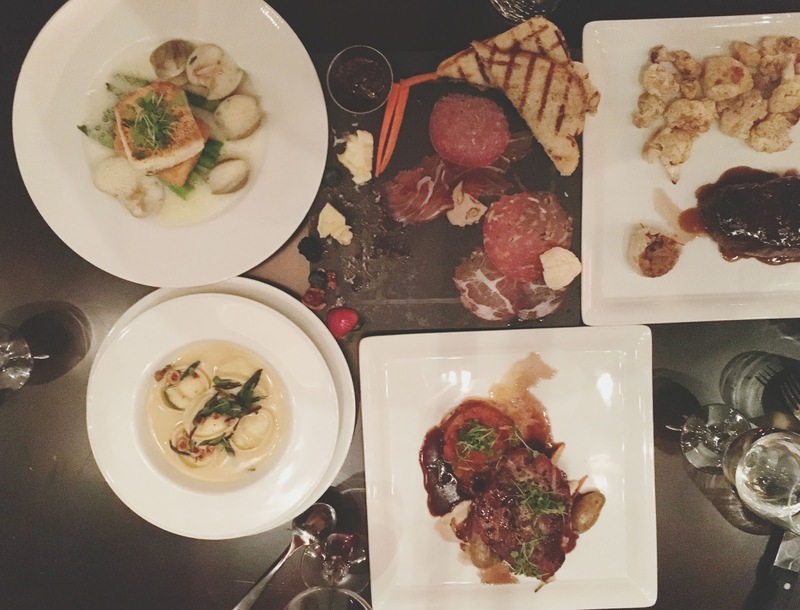 And I DEFINITELY recommend taking advantage of their $45 Houston Restaurant Weeks menu to get a taste of several different outstanding food items. I refuse to wait another year and a half to go back! Like, seriously. I want to marry this restaurant.